On 17 June 2015 I visited Polis Chrysochous again. 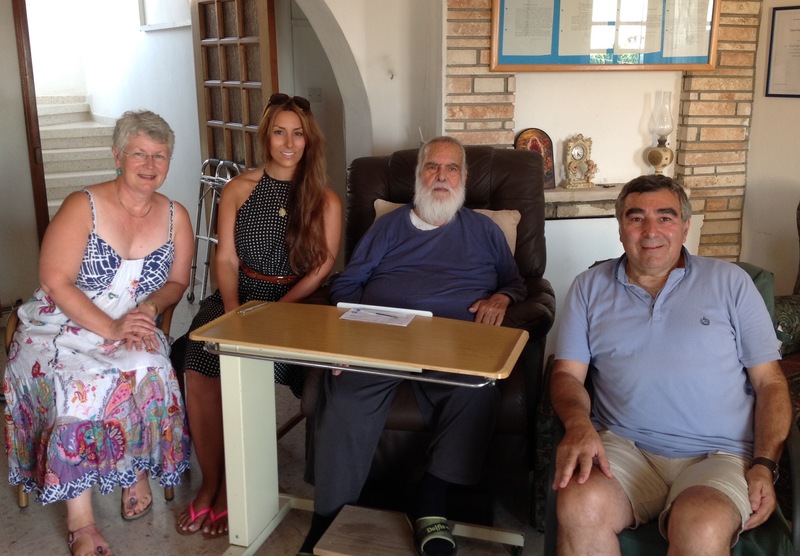 I interviewed Father Andreas, an 88-year-old priest who welcomed us into his home with so much warmth. He was the first in his family to become a priest and was ordained as a Deacon by Archbishop Makarios III. Father Andreas had not finished high school, but once he had become a priest he decided to finish his high school education. He attended classes with the school children and graduated top of the class. 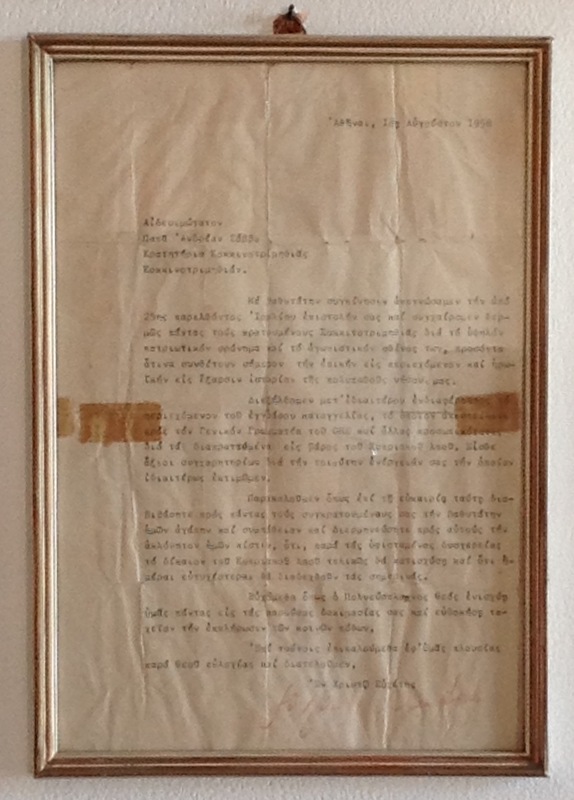 He was awarded his high school certificate while he was in jail in Pyla, as the British detained him for his involvement with EOKA. He was jailed on 16 February 1957, and was released on the same day two years later. 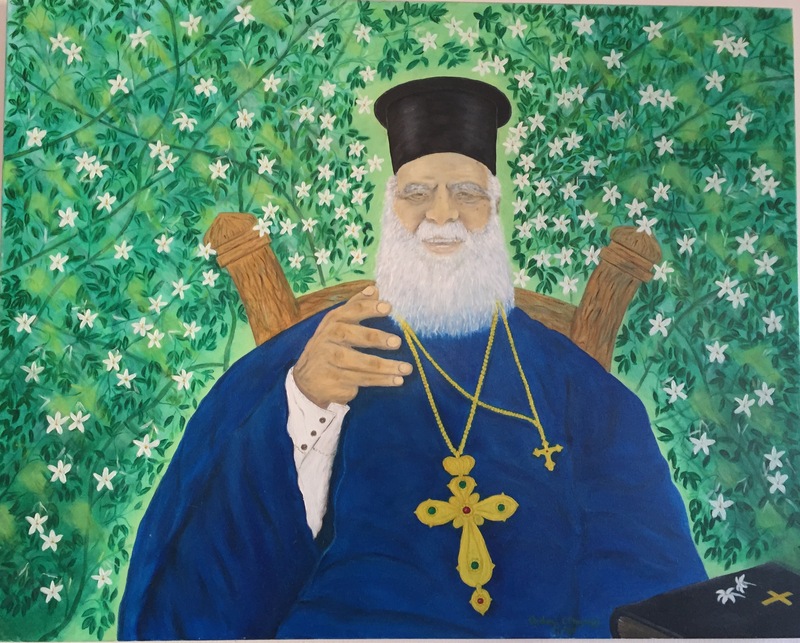 Father Andreas spent 33 years in Athens as a priest and earned three degrees, which were proudly hanging on his wall, along with a letter from Archbishop Makarios III which had been sent to him while he was in jail. He spoke of the old days, when Greeks and Turks were the best of friends, when “Turks came to the Church, especially at Easter and on some Sundays”, when he attended the mosque for funerals, and when necessity made it common for milk mothers to breast-feed children of the ‘other’ group. Father Andreas himself was breastfed by a Turkish Cypriot milk mother named Ayşe – “She was my second mother!” he said. Although Father Andreas does not remember intermarriages taking place in Polis Chrysochous, he does remember Greek and Turkish Cypriots living and having children together. 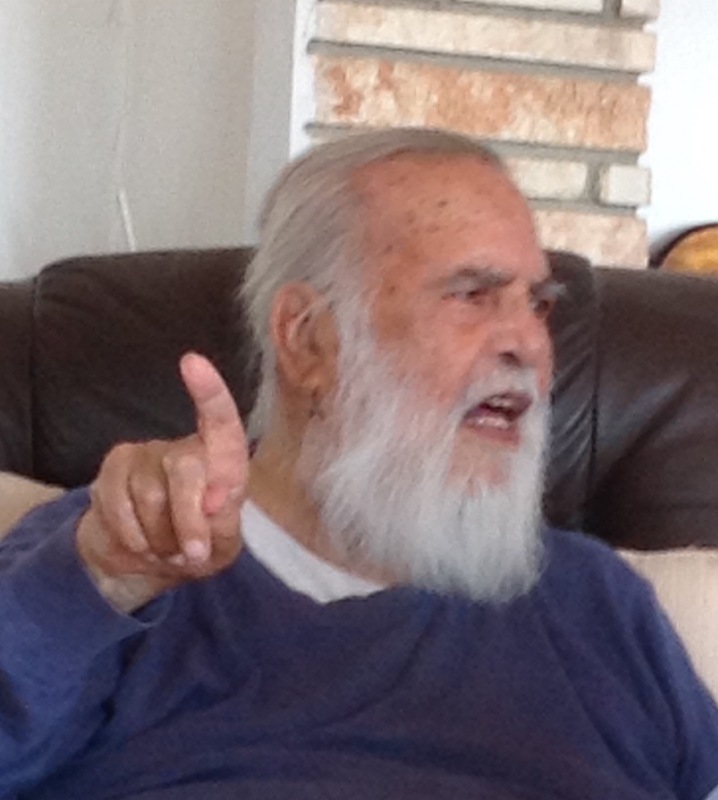 He recalls that Greek and Turkish Cypriots would sit together in a kafenion (cafe). When a Turkish Cypriot would come into a Greek Cypriot kafenion, he would be offered a coffee, and vice versa. Family: Villagers would look after each other’s children. Social: Children would sleep in the houses of the other group; “There was so much trust”, he said. Religious: Greek and Turkish Cypriots would celebrate each other’s religious events. Political: The political lives of both groups were very similar under British rule. Labor: Greek and Turkish Cypriots would work together on farms and in businesses. Although Father Andreas longs for a reunified Cyprus, he is worried that history may repeat itself. A spectacular night in Kontea! Another great encounter. I too worry that history will repeat itself. I worry about the Cypriot DNA which sometimes produces the odd ‘village idiot’ who wants to stir up trouble.